For all of you observing people out there.. Yeah that sunglasses is photoshopped onto my face. When I take outfit pictures I tend to forget a lot of things to include in the picture. Such as the bag I'm wearing when I go out or the jacket I'm wearing when I need one. Anyone with the same problems? But forgetting such an important piece that kind of defines my outfit like these sunglasses is a real no-no. So I did the unthinkable and photoshopped it onto my face.. Hope you don't mind and can see pass this. always look forward to your outfit posts! gorgeous as usual! 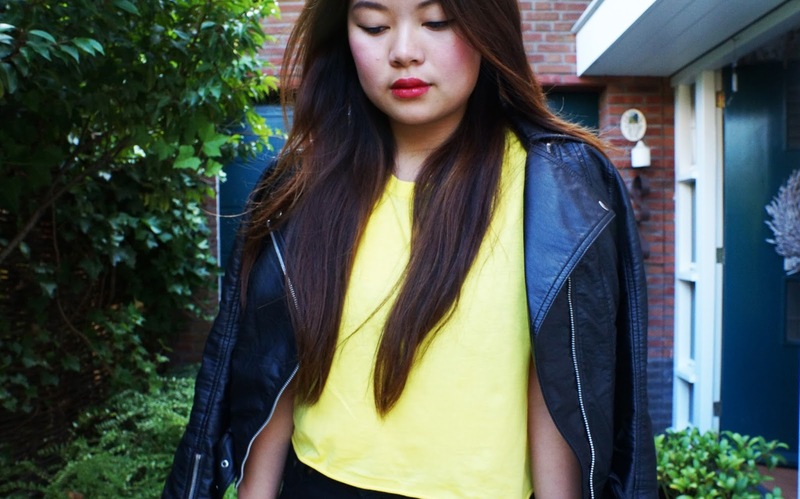 Love the yellow top with the red lip! 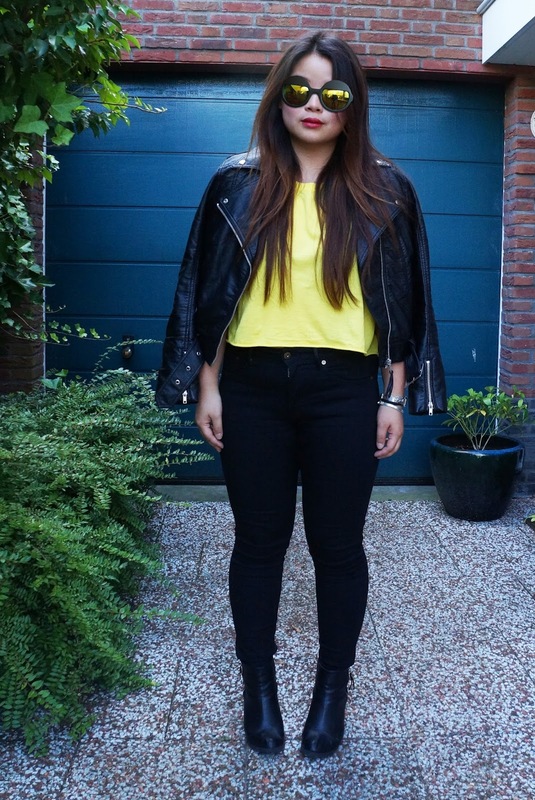 Mooie outfit, vooral superleuke bril! Hele leuke combi, gave bril ook! Je gele top staat super met je zonnebril! following you :) don't forget to do the same! OMG! I love your outfit. Gimme that leather jacket. Haha. And the sunglasses look awesome! Totally drooling. 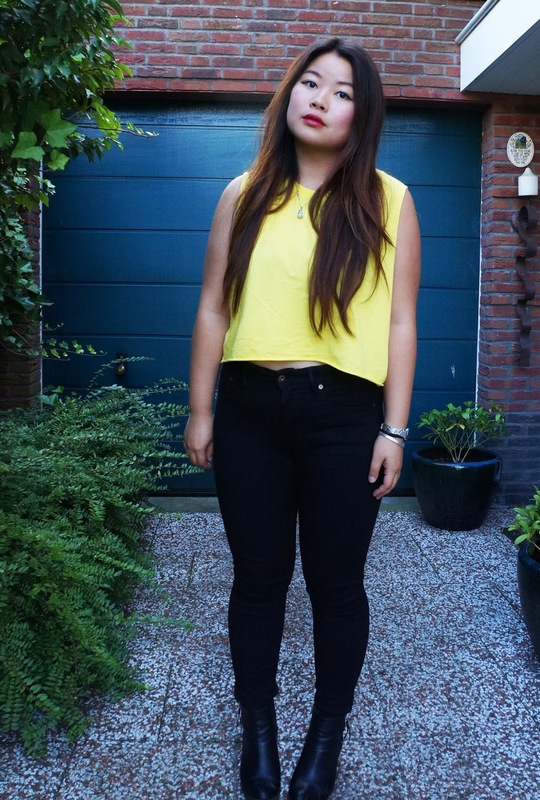 Mooie outfit, ben echt verliefd op je zonnebril! Mooi dat gele kleurtje bij je!